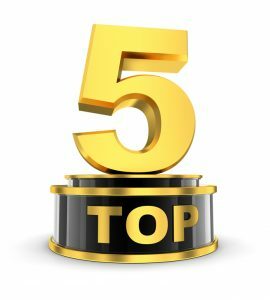 What determines the top 5 Medicare Advantage plans? I receive a fair amount of emails asking my opinion on which Medicare Advantage Plan to enroll in. The fact that I offer a mini-course helping someone choose their best plan type makes me a likely target for such a question. But my mini-course is about making a choice between Medigap and Medicare Advantage. That is a completely different topic than which Medicare Advantage Plans fall into the top 5. I’m going to address the question the best I can, but I’m not sure those who ask it are going to be completely satisfied. Actually, asking which are the top 5 plans really shows a lack of understanding about Medicare Advantage and how it works. It makes sense that there are more questions about Advantage Plans than Medicare supplements, after all, comparing supplements is easy given the fact that they are standardized plans. 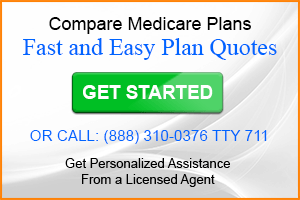 Medicare Advantage vs Medicare Supplement: Get the Best Medicare Plan… Guaranteed! Medicare Advantage – finding the best plans? Before we dive into what makes one plan better than another a review of how Medicare Advantage works is necessary. Private insurance companies that offer Advantage Plans are contracted with the Centers for Medicare and Medicaid (CMS) to design a plan that includes all Part A and Part B benefits. Many plans also include Medicare Part D benefits as well. The goal of the insurance company is to meet their contractual requirements and design a plan that will appeal to the market. As insurance companies receive a set amount of money to administer a plan and provide benefits there are a lot of variables that they must consider, not the least of which is making a profit. As of this writing the federal government hasn’t required insurance companies to offer their services as a charitable activity. Those enrolled in Medicare Advantage Plans are often required to pay premiums, deductibles copays and coinsurance for services. Plan design can vary as widely as do the needs of people on Medicare. That statement alone should give you some idea where this is going. Just as everyone who buys clothing must buy what fits, the same is true with Medicare Advantage Plans. It pays to do your homework and compare all Medicare options before you decide which is best for you. Before you narrow down which plans are top choices for you, you must assess your situation. Look at your health needs, your budget and where you ideally intend to receive care. Beyond that make a list of all of your medications. Doing these things before you even begin to compare plans is critical. For instance, if your budget is so tight that paying a premium would be beyond possible don’t even consider a plan that’s financially out of reach. No matter how good your friend or family member says it is. They have different circumstances than you. Once you have an understanding of your situation there are a few plan resources that you must review. Summary of Benefits – Every Medicare Advantage Plan has a Summary of Benefits. 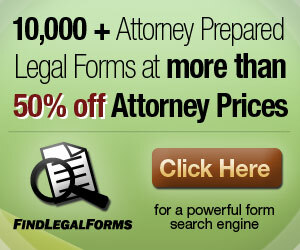 This is the document that details what is covered and what your costs will be. Here you will learn how much a doctor visit copay will be and how much you will be required to pay if you are hospitalized. Provider Directory – This directory will not only list doctors but will also include which hospitals and ancillary facilities like labs are in-network. Some plan types will allow you to go out-of-network for a higher cost. That information will be detailed in the Summary of Benefits. Part D Formulary – The Formulary list all drugs included in the plan as well as which drug tier they are placed in. Reviewing the above documents is necessary to determine if a plan is a good fit for your needs and budget. What may be good for you may not be good for your neighbor. Your goal is to narrow your list down to a suitable number of comparable plans. You may or may not assemble a list of 5 top plans. As plans are offered County to County, you may not even have 5 plans to choose from before you narrow your list. If you find plans where all things are nearly equal you can then investigate the Star Rating for particular plans. Plans are rated from 1 to 5 stars, 5 stars being the best. Star ratings are based on member surveys so in theory you are getting real user feedback. I say in theory because results are dependent on members returning the surveys to begin with. Which Medicare Advantage Plans are most popular? The market share of each plan is in no way indicative of whether a plan is better than another or if it will meet your needs. The only objective comparable would be the Star rating. There are many much smaller plans operating in limited markets that may have a high Star rating and meet your needs better than one of the top 5 largest Medicare Advantage providers. Another factor to consider is which type of plan has the largest share of the market. Plan types are typically distinguished by network type. kkf.org lists the following network types as having the largest share of the market. It’s important to note that network type in no way will offer some universal indicator as to which plan is best. In fact, just because 64% are enrolled in a HMO does not mean that an HMO was necessarily the preferred choice of plan. It may have been the only type of plan available in a given service area. To sum it all up, the more accurate question to ask is, which is the best Medicare Advantage plan for me? The number of suitable plans that you have to choose from is not as important as finding one that aligns with your needs and budget. Why would anyone consider a UHC HMO Advantage plan vs a Medicare Supplemental Plan N (with no in-network restrictions)?…………For ex, The UHC Advantage Plan is $76/mo + Part B premium monthly. And you still pay $1170 for first 6 days of hospitalization. In contrast, the UHC AARPl Plan N is $130/mo for me (age 70), without the Advantage Plan $1170 copay for hospitalization. The formulary under the UHC Advantage Plan is just as expensive, if not more, for copays. Yes, there is no extra RX plan monthly charge for the $76/mo HMO Advantage Plan (vs $17/mo for the Walmart Rx plan), but the monthly charge is insignificant in the cost-benefit analysis of these two alternatives………What am I missing? Gary, I’m with you on your logic but after fielding comments for the last 7 years, here’s my thoughts. Some people just believe that they will not be hospitalized and $76 is less than $130. You’ll pay the Part B premium with both an Advantage Plan and a supplement. The other thing to consider is that your logic is only relevant to the Medicare Advantage service area that you live in. The UHC Advantage Plan may not have the same premium in other areas. It could be more or could be less. Same is true with Plan N.
For the record, I’m with you, being subject to a network and out-of-pocket hospital costs would be enough for me to choose Plan N.
I am interested in checking out the Humana Medicare Advantage PLAN THAT INCLUDESS EYES, DENTAL, AND PRESCRIPTION DRUG PLAN. Seriously confused regarding this quagmire called Medicare and don’t know what to do about it.